Indicator ShiftMaster is a robust universal technical analysis tool . The essence of the indicator is to provide information on a range of timeframes on your desktop chart. The information is a sum of classical MAs with shifts. The indicator has one key parameter Period - it is both MovingAverage period, and Shift parameter (backward shift). Information about the direction depends on the interaction of moving averages, which have different offset values. The remaining 6 parameters - list of timeframes used for the indicator calculation. The indicator can work with the number of periods from 1 to 6. To disabled any of the periods, set its value equal to any other period. 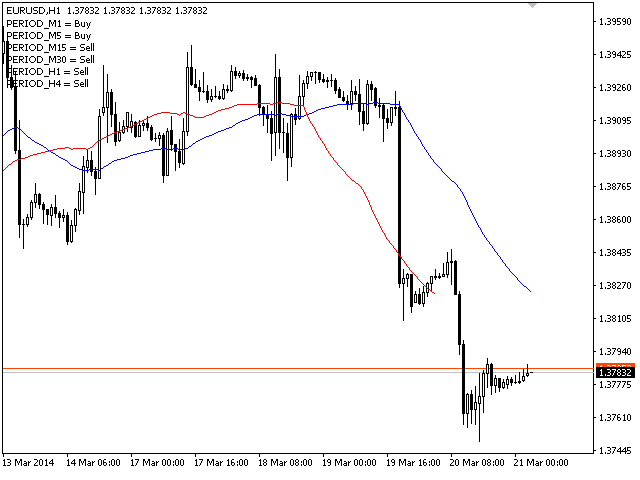 For example, if you set a one-hour period for all the timeframes, the indicator will display the information only for one period - H1. The indicator provides information in the form of a comment, which you can see from the screenshots and videos. It can be used as an additional trading tool. 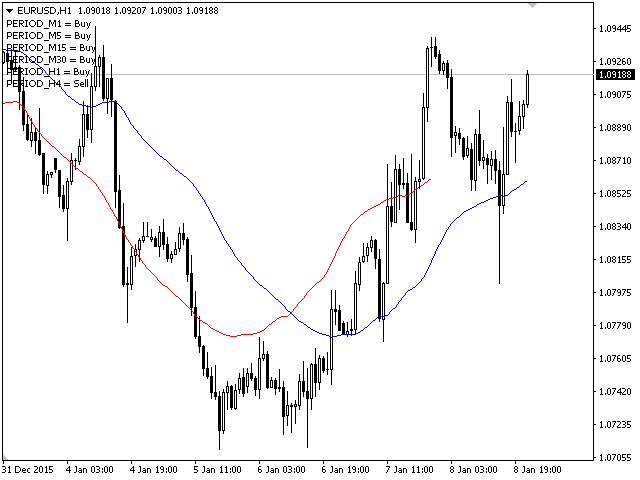 The indicator is suitable for all kinds of currency pairs. The indicator is easy to use and is preconfigured. When the higher timeframes show matching direction, search for the entry point on smaller timeframes. To find precise points, use an additional entry indicator. 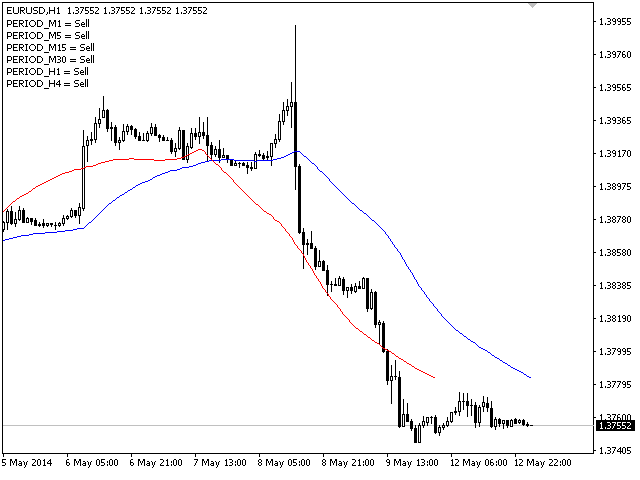 The main advantages of this indicator are its stable operation during breaks and reboots, as well as signal that never redraws, because it depends on a set of Moving Averages. Note: Materials in the video are primarily designed to show the operation itself (the way the lines are formed and the information comment is generated) rather than accuracy.